An all new Pk Spawn server where everyone is welcome! Currently open for Beta testing! 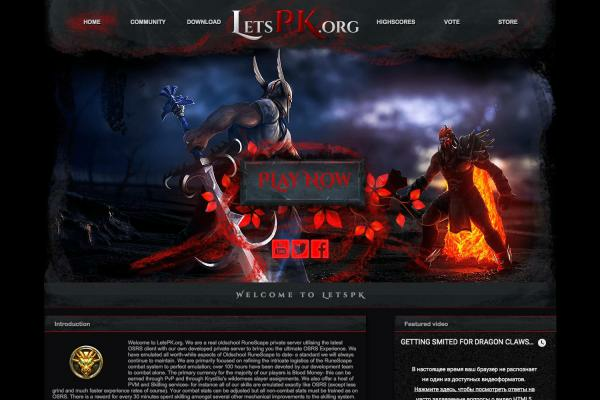 Log in and Pk now! All items are availiable during beta testing! DistrictPk has plenty to offer! - Free expensive and super powerful weapons only availiable free during Beta! - flawless switching and Pking you will love! - Wilderness Bosses only found on DistrictPk! - Non-wildy bosses availiable at your discretion! - Set your levels to whichever you please! - Friendly and understanding Staff community!